Join us for this webinar to learn about our brain-based coaching programs. Discover how understanding the brain can give you the skills and tools to become an effective workplace coach or for operating your own coaching practice. Register now and learn how a structured approach can deliver the best insights into your everyday coaching conversations. Marcia Smythe is a Master Facilitator and Executive Coach with the Neuroleadership Institute. 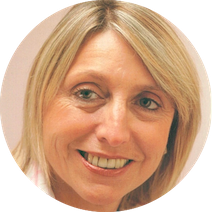 Marcia has over 30 years board level experience within blue chip financial services, management consultancy, talent recruitment and hospitality organizations. She specialises in facilitation to support individuals, teams and organisations through times of change, and is passionate about aligning neuroscience and people development to organisational business strategies, purpose and values. With over 15 years and 3500 hours of coaching, Marcia is an experienced Executive Coach committed to leadership development and talent growth. Marcia has completed a Post Graduate Diploma in the Neuroscience of Leadership and holds a Degree in Business Administration.